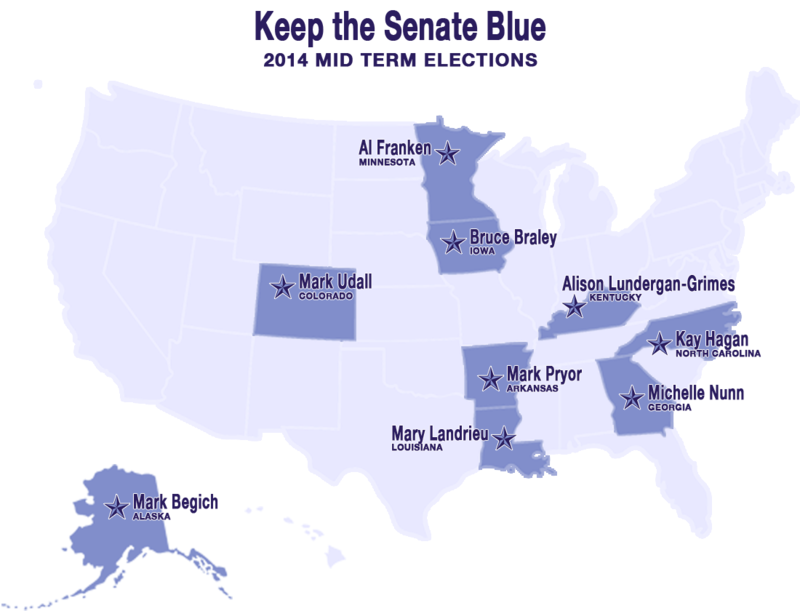 Here is a short list of Senate races that will be real nail-biters. 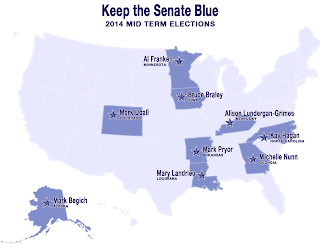 These states are must win for the Democrats to hold the Senate majority. For most of these races, there is still time to send in you FWAB for Voter Registration and Ballot Request! 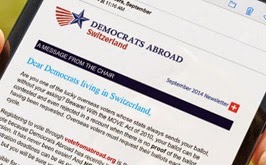 Don't be deterred by polls that say the Democratic candidate is trailing. Don't be over-confident by polls that tell us the Democratic candidate is a shoo-in. Nothing counts except the ballots cast. If you know anyone who votes in these states, make sure they are casting a ballot for this year's mid terms.